Carey Kendall has been a resident of Montecito/Santa Barbara since 1975, after graduating with a B.A. in Economics. 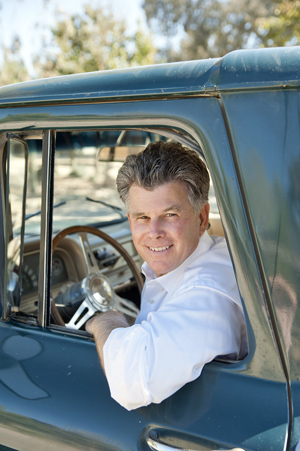 In 1980, Carey completed the USC Broker Development Course, a comprehensive series of real estate courses over many months and later that year he earned his California Real Estate Broker License. Over the past decades, a thorough knowledge and experience in residential, land and commercial properties has been developed through extensive sales in all these real estate arenas. Additionally, since the 1970′s Carey has followed his interest in pre-war and post-war vintage automobiles and this interest provided travels world wide, including participating in various car events across many regions of this country. Through these associations, a vast network of clients and friends was built over many years. He brings the worldwide contacts developed from this diverse background to the table in the marketing of special properties. The disposition of beach property for the Harvey Mudd Family. Callisto Farms built by the retired chairman of Bechtel Corp.
Solvang Outlet Center now called The Solvang Village Center comprising approximately 70,000 square ft of mixed use commercial, retail and residential apartments. This represented one of the largest single commercial property sales in the Santa Ynez Valley. The Valley Oaks Bank Building in Solvang, CA. Notable corner building of approximately 12,000 square feet. Commercial building in Santa Ynez at the corner of Faraday and Sagunto. Ocean front property in Carpinteria, CA (Santa Barbara County) with an acre of mixed use potential; presently being used as a restaurant. Industrial Building in Westlake village of approximately 16,000 sq. ft.